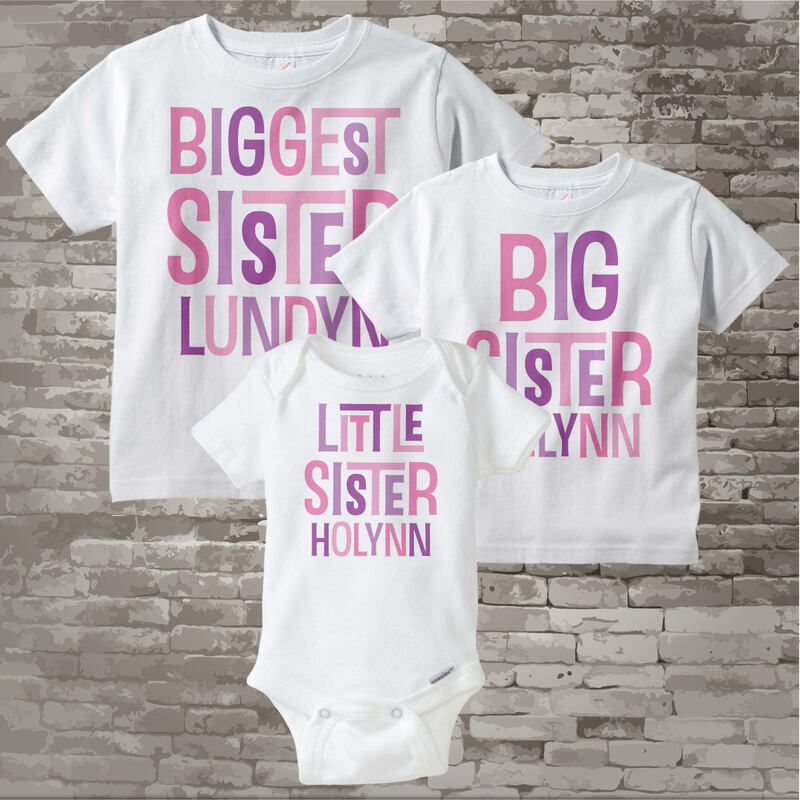 Super cute set of three shirts are Personalized Biggest Sister tee shirt, Big Sister Tee Shirt and Little Sister Tee Shirt. These turned out exactly as I had hoped and I can't wait to see all of my girls in them!! Thank you! Second purchase from this seller. 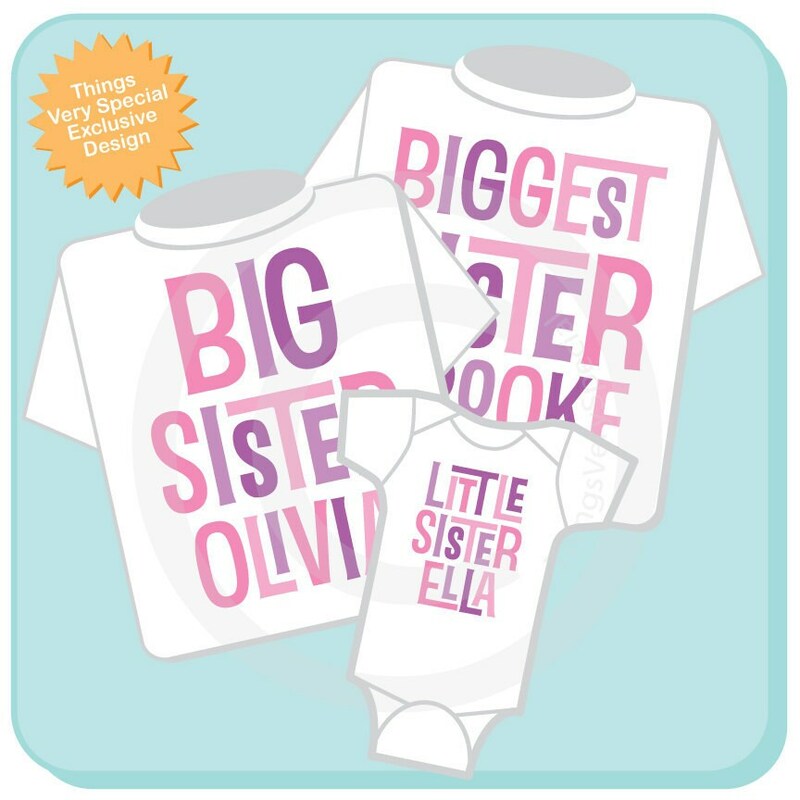 She's quick and everyone loves to see my girls in their big sister/little sister shirts! These are ADORABLE! Such high quality and very professional. Thank you also for double checking our spelling and correcting my mistakes - so professional! We love them and can't wait for our son to get here so we can get cute sibling pictures in these shirts!